Want to develop an innovative technology product like TRXpay for smarter & secure payments? Working closely with our client, the developers beautifully crafted TRXpay to streamline & fasten the payment processing. To add value to the transaction system, TRXpay is designed featuring a secure payment gateway, mobile & online ordering, stored value cards, rewards, loyalty program & more. TRXpay, a mobile for the Merchants & Consumers delivers value-added solutions to help get an easy access to the Most Used features such as Credit Card/Sale & Gift Card/Redeem. 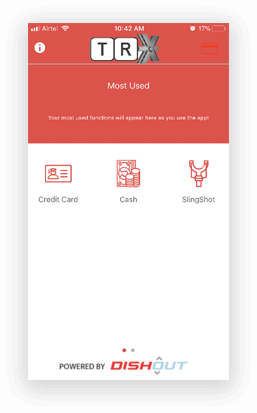 TRX Payment App lets the user experience a new look with high-quality UI interface. To save time & efforts, the app is developed in a way to bring everything at your convenience. 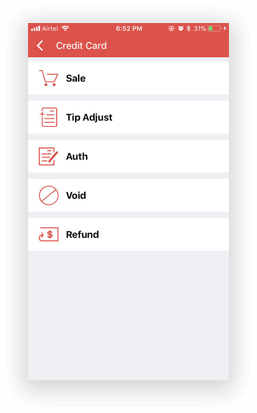 Divided into two screens, the services like Logs, tip Wizard, Clerk Management, Help & Settings are listed on the second screen in the app. The app involves plenty of theme packs, easy to set color scheme & icons. In addition, the new profile engine in the app is designed to provide innovative new features to the merchants. Moreover, a Callback feature allows the integrators to post the order status to the Webhook address to update the POS system. 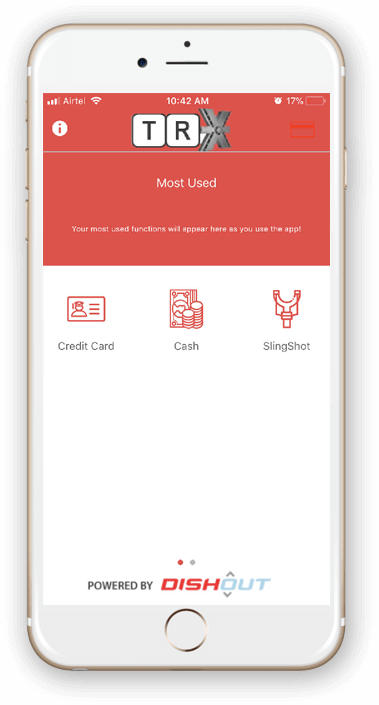 For a convenient merchant experience with Slingshot, the app comes with the latest feature i.e. Push Notifications. A simple push notification wakes the device automatically, taking the clerk to the “process” option by entering the ID in the TRXpay app. 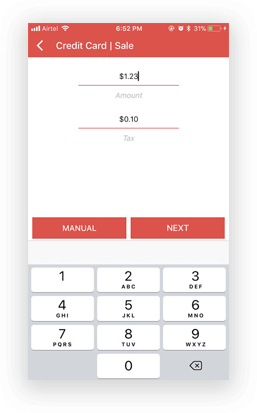 The new devices integrated prepare the TRXpay app for EMV to deliver a seamless experience.